A true American treasure. John Prine has been telling stories through his music with a true sensibility to the human condition. This track is a real traditional folk gem. Give it a try I know you will like it. John is the definition of mountain music (among other things). Put another log on the fire and sit down. This is another hero of mine that I have to add to the station. Although not really stripped down this song rocks! The more John Prine I hear, the more I like him and respect him, especially his new album. Buy it, and then buy everything else he's done. I particularly like the Souvenirs Album. Bear Creek Blues ain't really that bad when ya can tap those toes like JP does on this jumpin lil country pickin flavored tune. John Prine, ladies and gents!!! Love him so much. I love everything John Prine does. Crank this one UP!!! Especially in the hospital zone. Give 'em what for, John. The water on Bear Creek tastes like cherry wine- if John Prine says so I believe it, don't you? 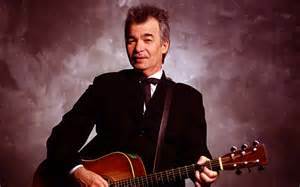 John Prine along with a few select others were mainstays of influence in my songwriting. I have always leaned to the Singer/Songwriter for inspiration. I love this "Prine" song as I do many others.